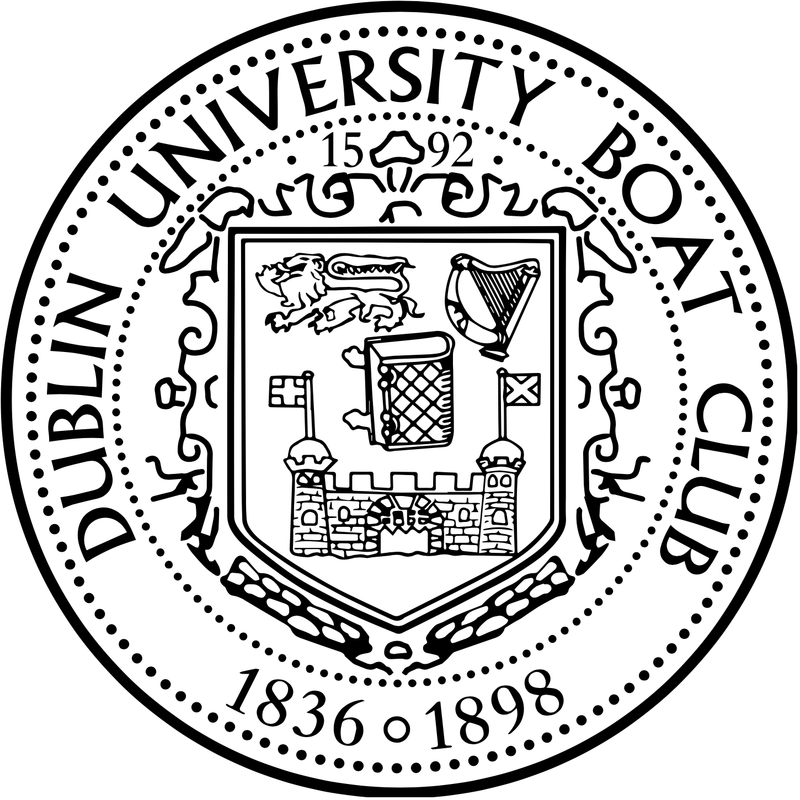 Having enjoyed victories in both Erne and Lagan Heads, the DUBC Novice crews were determined to continue this habit further into the racing season. The road to the Dan Quinn Shield, however, began long before any of theses successes. It feels an eerily long time to think of the outings when we splashed down in Islandbridge for those first sessions in early October. Since then, many hours have been spent on the ‘ergs’ and navigating the, now all too familiar, stretch of water at Islandbridge in preparation for racing season. On race day, nothing seemed to click. After many failed attempts at the dreaded racing starts and several collisions with branches protruding from the banks below the weir, we were told that the Sally Moorehead race had run its course and it was finally time for us to paddle down to O’Connell Bridge. As we approached the start line, the roaring din of the crowd and music contributed to the atmosphere of what was certain to be ‘the sporting event of the year’. Straight away distractions and nerves had to be set aside to manoeuvre onto the stake boat. In the weeks leading up to the event we had honed our backing skills by showing up to the start of one race half an hour before any other crews just to practise rowing backwards and forwards. As soon as we were lined up and attached, we eagerly awaited the ‘two minutes’ call that meant the race would start any second. ‘Trinity, UCD, Attention. Go!’ The first twenty strokes of the race a frantic blur. Straight after we came down onto race pressure and relished the various pushes that increased the gap between ourselves and UCD. On the sidelines, supporters were crammed onto the top decks of buses that more resembled coffin ships. Bodies hung over the edges, arms extended outwards clutching onto phones and cameras, all to get the best possible angle of footage. Meanwhile, back in the boat, we were focussed on pulling our most tortured faces. The last sprint from the blue Rory O’More bridge past the Guinness brewery seemed to last an eternity, but every stroke brought to reality the victory that we had been dreaming of for months. At last, the finishing horn sounded and confirmed to us that the race was ours. The Colours success enjoyed by our crew is owed entirely to the time and dedication of our coaches, Mike Ryder and Charles Cunningham. Senior coaches Colm Butler and Colin Daly generously lent their experience to us along the way and it has very much been appreciated. They have provided us with their undivided attention, on and off the water, always willing to answer any concerns and to provide a helping hand. 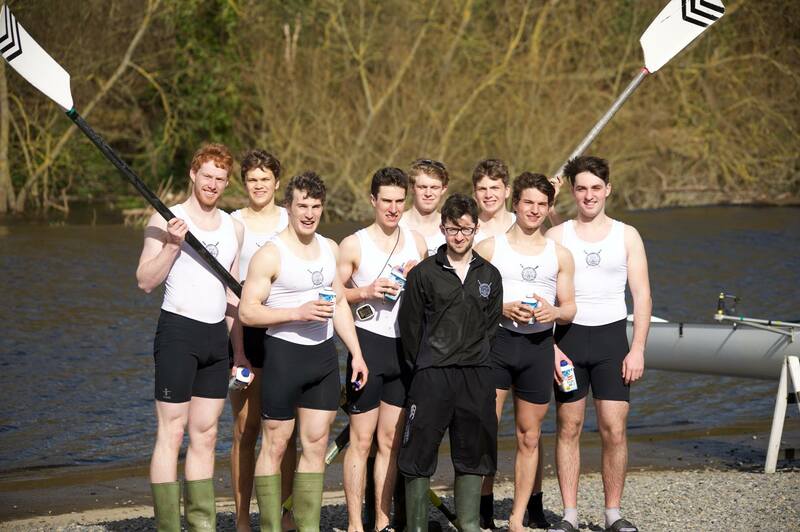 Special mention must go to the honourable men who rowed in the Goonan Cup. The result was devastating and nobody could have foreseen the circumstances under which the race would take place (did somebody say re­row?). UCD retained their hold on the Goonan Cup but we will return next year in full force. The loss only spurred us on and provided further motivation to not let our fellow club mates down. 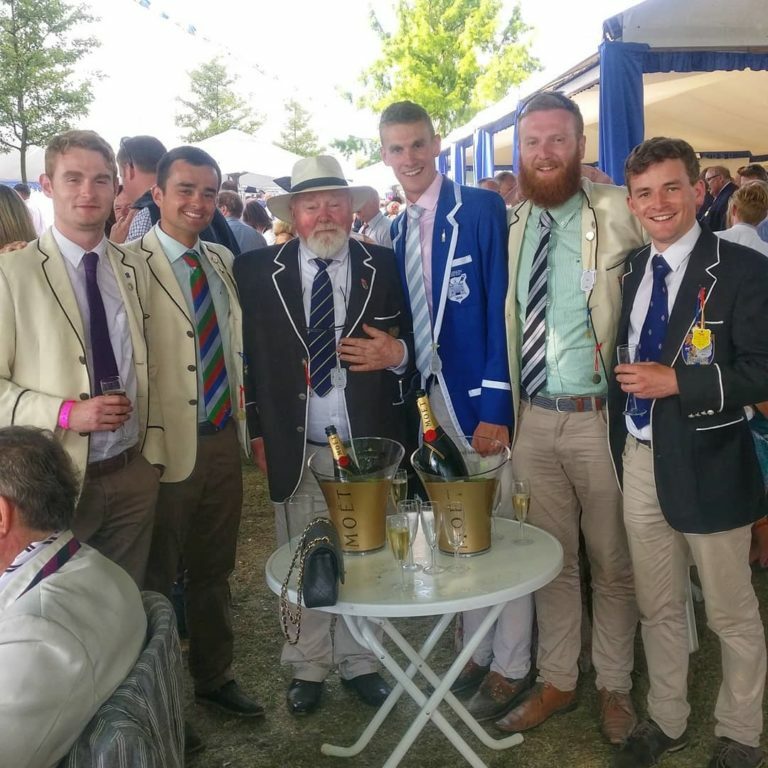 The day was rounded off with dinner and a prize giving ceremony in the company of crews, coaches, family and friends from both Universities and we could not have asked for better company. So far, the only physical prize that we have received has been the Avonmore Protein Milk that awaited us upon return to the clubhouse, as we arrived back in. The whereabouts of the elusive Dan Quinn shield are currently being tracked down by our Novice DUBC Committee Representative, Monty Badger. The 2016 Dan Quinn Shield race definitely surpassed all hype and expectations created during the lead up to the event and will live on in the memories of all those lucky enough to have been involved, for years to come.